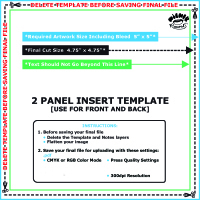 Download these templates to help with the design of your casstette or cd!!! Just drag your art work (300 dpi) on top of the template guide lines to make sure everything fits and save as a .pdf file for an easy upload later on!!! Please make sure to include " BLEED" on any art that you want printed to the edges of the template. Also, be sure to remove any guidelines that you DO NOT WANT PRINTED on the actual cover! THIS IS AN INFORMATIONAL TEMPLATE TO USE AS A GUIDE FOR SUBMITTING YOUR FINISHED CASSETTE ART TO US! MAKE SURE ALL THE INFORMATION YOU WANT ON YOUR CASSETTE FITS AND ART IS SET AT 300 dpi! 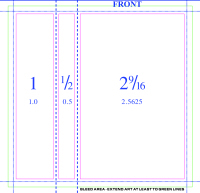 This template is used for designing what your cassette is going to look like. We offer two different printing options, choose from Imprinting (standard) or Color Labels (additional charge of $0.14 per cassette) to customize the look of the tape. This is the standard J Card that comes with every package! Please make sure to include a lil "bleed" on art, make sure art work comes to the edges of the J Card. This is to make sure the entire J Card gets printed on! Also, please be sure to remove any guidelines so they don't get printed onto the J Card and all artwork is set to 300 dpi! 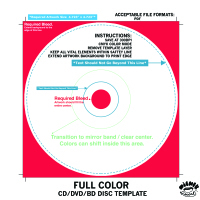 THESE ARE THE TEMPLATES THAT WILL HELP YOU DESIGN YOUR WIENER CD RELEASE!!! ​CREATE A DESIGN FOR THE ACTUAL CD!!! 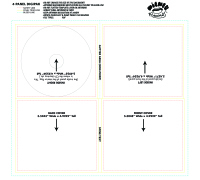 This template is used to help design the layout of your CD's new home in a printed, full color gatefold sleeve. Take a second to soak in the whole template, since Digipks are folded from a single piece of cardstock, there are a lot of panels to fill out. Digipaks also include a spine so your CD can be easily identified when tucked into a shelf. FULL COLOR AND DOUBLE SIDED!!! The most traditional look for your CD! 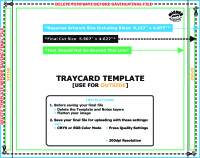 This template is where your full color album cover and insert gets layed out. A lil more user friendly than the Digipak template and just as beautiful! The back of your CD can be used for just about anything!!! Have fun with it! 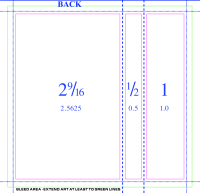 This template also includes a spine panel to for easy identification.